General Hospital rumors tease that Kevin Collins (Jon Lindstrom ) might somehow be able to escape Ferncliff on his own and make it to General Hospital or to the home of a friend or Laura Webber Collins (Genie Francis). If he were to escape, he will face several challenges, and Ryan would as well! If by some miracle he does escape, it will be obvious that Ryan is alive: but which one will people believe, him or Ryan? Ryan will also have the same challenge; and unless an operation to restore Kevin’s sight took place off-screen, Kevin’s still blind! That could spur the ultimate “Cain and Abel” challenge; one might have to kill the other, and Kevin would have to be the winner with his blindness being a distinct disadvantage in the fight against Ryan! Ryan would also have a problem; for him to win, he’d have to explain why his twin was still alive, and with Kevin still blind, he can’t pin the murders on him, assuming Franco Baldwin (Roger Howarth) would have been ruled out as a suspect by that time. Kevin would also tell the police to subpoena the Ferncliff records under both “Todd Wilson” and “Wilson Ritter” to show one of them was there when the murders took place and possibly going back as much as twenty-five or twenty-six years, but that won’t prove which one it was, him or Ryan! Ryan would undoubtedly have the same problem if he decided to go that route! Another challenge Kevin would have besides the blindness and convincing the police and Port Charles that he’s Kevin, not Ryan, is WHERE to go for help. General Hospital knows one of them was treated for the blindness virus; records would be under Kevin’s name. Going to the hospital presents another problem: Kevin doesn’t have his GH ID badge, Ryan does! That would make it difficult to even try impersonating Ryan impersonating himself! Plus, he might run into Ryan! Right now, with Laura being concerned about Lulu (Emme Rylan) it may not be the best plan or the right time to try to get help from her; and Kevin will know that the revelation that he has been held captive in Ferncliff coupled with Ryan’s impersonations of him would probably be too much at once. Kevin’s best bet for help once in Port Charles is probably his ex-wife Lucy Coe (Lynn Herring) and possibly Mac Scorpio (John J. York). Felicia (Kristina Wagner) doesn’t need to know Ryan is alive just yet, it would be too much for her as well. But Lucy and Mac were there the last time Ryan was known to be alive and supposedly died, and they will be able to help Kevin prove who he is. 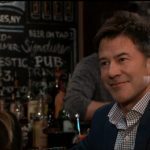 General Hospital spoilers say Ryan’s need for recognition will be his downfall; could it be his need to be recognized as Kevin, and the real Kevin blows his cover, having escaped from Ferncliff? Stay tuned to GH and keep checking General Hospital spoilers frequently to see how the Kevin/Ryan storyline concludes!